As my holiday approaches I’ve been trawling around trying to find the perfect t-shirts to take away. 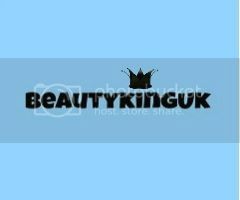 After finding and bookmarking about 30 websites and about £2,000 worth of t-shirts I managed to get around 10-15 new ones to take away and thought what the hell, I might as well show off the ones I didn’t get around to buying as a kind of wishlist post. So here they are, the top five I didn’t get around to buying. I really like the tattoo vibe and plain white background. More recently I've moved back towards white and grey t-shirts, probably to mirror my darker and more warped mood. At £26, this is probably one of the cheapest I found when searching around. I love the lettering ans skull and crossbones. Available from Sinstar Clothing for £30, this one gives something of a motivational speech in the shape of a cross. A bit religious, but would confirm that I'm no saint! Again from Sinstar, if you had shown me this t-shirt about 6 months ago and said I would like it I would have laughed in your face. My tastes have changed (it must be the pills) so much and I just can't help liking this design. I'm not keen on the £35 pricetag, but I still say it's worth it. Available again from Sinstar Clothing at £35 I just really like the snakepit design. It is different, has skulls and is completely different to anything else I currently own. I hope you like my choices, yes they are a bit dark but that sums me up beautifully lol. Here are some of the t-shirts I did manage to pick up, what do you think? I think it was fairly cheap TBH Aby - Rachel picked it up from Primark for around £5. Wow very cool and interesting t-shirts . I can not imagine spending £35 on a t shirt! 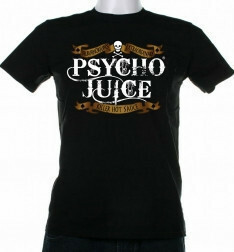 I like the Psycho Juice one. My son will love these! My boyfriend lives in tees. He isnt a rocker but likes a good design. 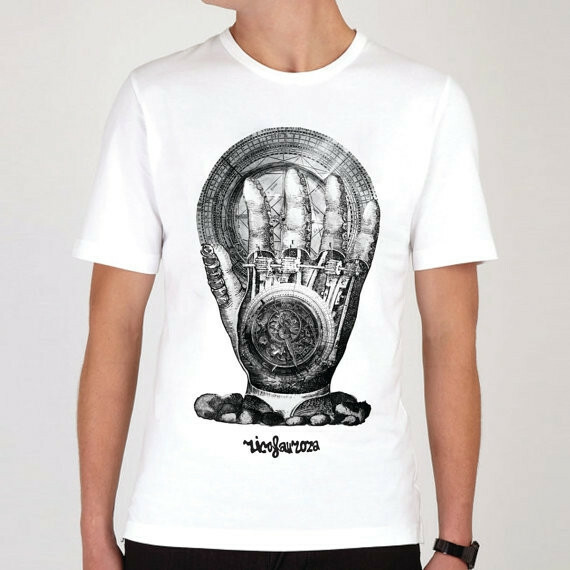 I personal prefer the hand print and the ribcage but £35 for a tee thats too much for me to spend. I'm getting a glow in the dark tee, soon, too. It's a Dr Who one, A weeping angel with hands over its eyes and in the dark it's doing its scary face - I don't think I'll really make full use of the glow in the dark part but who cares, it's cool! 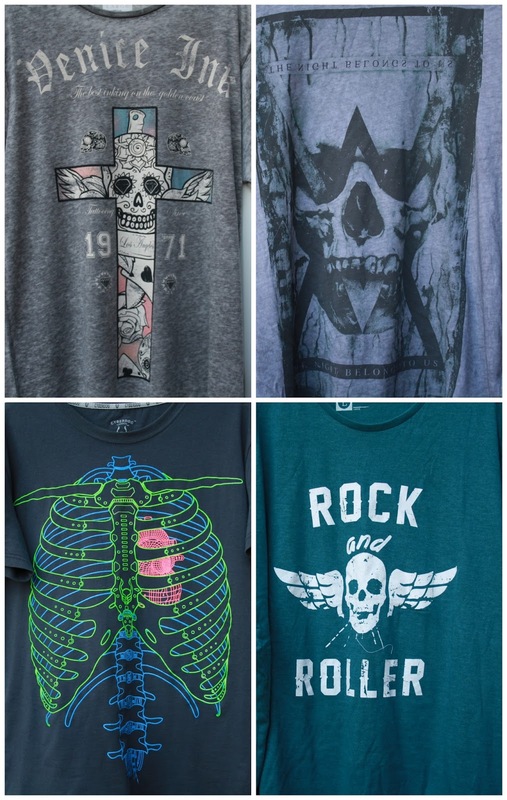 Lots here that my younger brother would like (he's 25), not really the sort of style my hubs goes for though - although for Halloween I see a few that would be awesome. I like the rib cage one, some great choices here. I can see you are a trendy T-Shirt wearer! 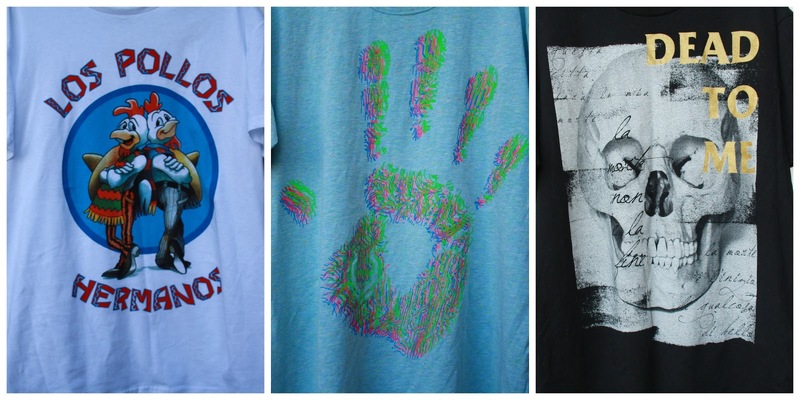 I love the hand print one. My husband wouldn't dare to spend so much on a tshirt but he has a birthday coming up. His favourite one is a cheap Daddy Pig one from Asda. Adults and kids stop him in the street to ask where it's from! FAr to cool for me, but they do look great! I like to glowing one. Imagine walking into a darkened room with that on!